The Celebrity Baby Bump: Pickles Cravings: Which Pregnant Celebrity Mom Has Them? Pickles Cravings: Which Pregnant Celebrity Mom Has Them? 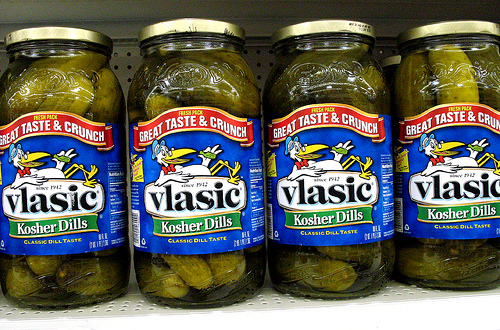 One celebrity mom is tweeting today about her pregnancy cravings today, specifically her craving for pickles! Who is it? "I'm such a cliche... Pregger buying the giant pickle at the market. But DAMN its good!"